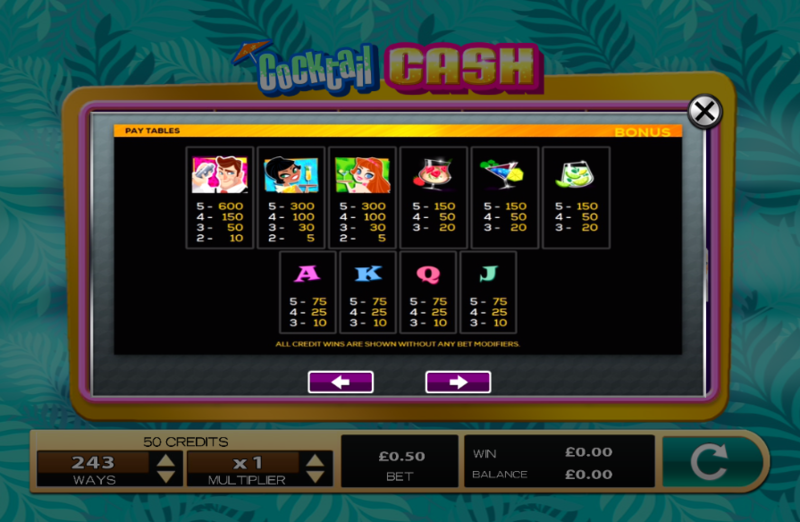 EasySlots.com brings you Cocktail Clash from High 5 Games, you are given the chance to serve out some tasty drinks while also accumulating quite a lot of tips as a result. This 5x3 slot comes with 20 pay-lines, a very simplistic game layout for a very basic game to grasp. If you have played any slot from developer High 5 Games in the past then you will already have an idea on how this one plays and the features that are included here. The look of this slot is very stylised, which if anything plays to the game's favour in keeping you hooked with each and every spin that you play. If you want to learn more about Cocktail Cash then be sure to check out the rest of our written review below for more information! Wilds: Wild symbols will substitute for all other symbols bar the scatter when you are matching them on the reels themselves. These symbols are the most common of all additional features that you’ll find here, which is perfect as it means you are always going to be kept on your toes. Free Spins: Free spins will help you in your mission of getting the highest scores possible in how many multipliers you will earn. The more scatters you match the more free spins you’ll earn. Find out more promotions and bonuses by clicking the link! 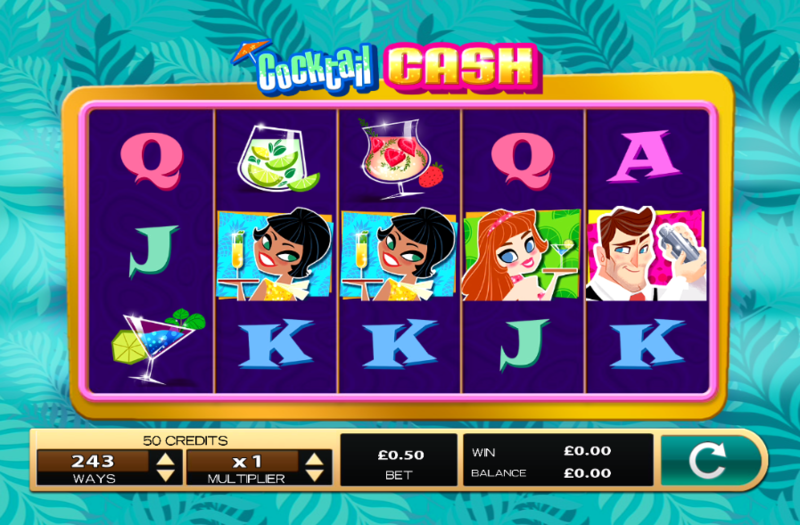 Cocktail Cash is a slot that you can play again and again without losing interest, something that is relatively hard to come by in today's online slot climate. If you are someone looking for a slot to play anywhere and at any time and always have fun, then look no further than this one! Or if you're up for the idea of exploring new games search Easyslots.com now.